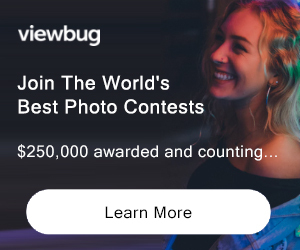 Nature’s Best Photography and Divers Alert Network (DAN) are proud to announce a new alliance to host the third annual Ocean Views Photography Awards, open to all levels of photographers from around the world. Share your passion for the ocean to help inspire a global audience to learn about and protect this fragile realm. A selection of winning images will appear in upcoming editions of Nature’s Best Photography and Alert Divers magazines, and will be featured as Internet presentations on Pixcetera, MSNBC, Discovery Network International, and other online galleries. Celebrate the ocean through the art of photography. Important: All images must be taken in the wild of natural settings and behaviors. No captive animals will be considered and no entrapment of any kind is permissible. PRIZE DETAILS: $2,010 (US) cash • 9-night dive trip to Papua New Guinea with Peter Hughes Diving© • 5-night dive trip at Marina Del Mar, Key Largo, Florida with Ocean Divers© • Scubapro© regulator • Henderson Aquatics© his and hers H2 titanium wetsuits • Backscatter© gift certificate • Ikelite© DS160 digital strobe and charger • DAN© Dive Safety Kit. ELIGIBILITY: All Not eligible to enter? - Find contest where you are. COPYRIGHT: COPYRIGHT: Photographers enter NATURE’S BEST PHOTOGRAPHY OCEAN VIEWS AWARDS competition of their own free will. As a condition of having a photograph selected as a winning image, photographers agree to a non-exclusive transfer of worldwide rights allowing Nature’s Best Publishing, LLC (NBP) the following uses including, but not limited to: publishing the image(s) in upcoming issues of NATURE’S BEST PHOTOGRAPHY magazine; hanging the image(s) in public exhibitions; and displaying the image(s) on the NBP and other websites; and using the image(s) to promote NATURE’S BEST PHOTOGRAPHY competitions. ‘Non-exclusive’ allows the photographer to market the image as they choose. NBP does not restrict future sales of the image, rather NBP enhances opportunities to market the photograph as a ‘Winner’ in a very prestigious competition. 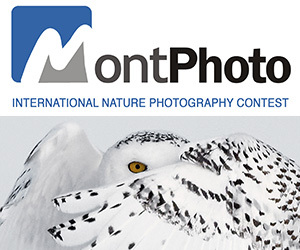 Many photographers have found their sales to increase based in part on their participation in NBP award competitions.